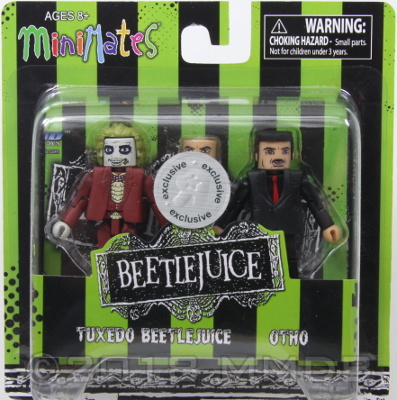 Tuxedo Beetlejuice: When the Deetzes perform a spell to capture the Maitlands' ghosts, Lydia must offer her hand in marriage to Beetlejuice to save her recently deceased friends. Otho: An old friend of Delia Deetz, Otho has held many jobs, including actor, hair stylist, interior decorator, and a paranormal researcher. His spell summons and binds the Maitlands.